When it comes to the current epidemic of racist police violence and state terror sweeping the U.S., Lenin’s writing on the state is just as applicable today as when it was written on the eve of the Russian Revolution nearly 100 years ago. 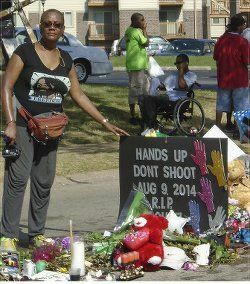 Monica Moorehead at the Michael Brown memorial in Ferguson, Mo., August 2014. Police brutality isn’t a new phenomenon inside the U.S. or in any society divided into the haves nots and the haves, the oppressed and the oppressor, workers and bosses. This type of repression comes in many forms, including racial profiling, frame-ups, beatings, torture, mass incarceration and more. But in the current political climate, it has been the killings by the police of young Black and Brown people that have taken center stage — and rightfully so. The Black Lives Matter movement, launched in 2012 via social media by Black women and trans women in response to the murder of 17-year-old Trayvon Martin by wannabe cop vigilante George Zimmerman in Sanford, Fla., continues to lead the heroic resistance against police violence with militant shutdowns of malls, traffic and even airports, like in Minneapolis on Dec. 23. This movement made a global impact with the rebellion in Ferguson, Mo., that erupted in August 2014 with the fatal police shooting of 18-year-old Michael Brown. The names of the victims whose lives have been tragically cut short by police violence are mainly unknown. However, some victims, such as Eric Garner, John Crawford III, Laquan McDonald, Walter Scott, Freddie Gray and Sandra Bland, have become household names because of cell phone video recordings revealing what led to their deaths. Over a year later on Dec. 28, a secretive Cuyahoga County grand jury issued no criminal indictments against the cops, one of whom had a longstanding reputation for “a dangerous loss of composure” and being “emotionally unfit” before joining the Cleveland Police Department. The New York Times published an editorial on Dec. 29, “Cleveland’s Terrible Stain,” stating, “Tamir Rice of Cleveland would be alive today had he been a white 12-year-old playing with a toy gun in just about any middle-class neighborhood in the country on the afternoon of Nov. 22, 2014. 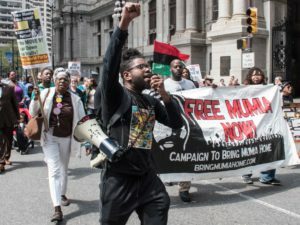 The police not only behave as an occupying force in the Black community, but ARE an armed occupying force in many U.S. urban areas, very similar to Israeli occupying forces in Gaza and the West Bank. The police killings of Black people reinforce institutionalized racism, rooted in the legacy of slavery and Jim Crow. Tamir Rice is the modern day Emmitt Till, the 14-year-old African American lynched 60 years ago in Mississippi. According to the mappingpoliceviolence.com website, at least 336 Black people were killed by the police in 2015 out of 1,152 killed overall. Black people are three times more likely to be killed by the police than whites per 1 million people. Thirty-three percent of unarmed Black people were killed compared to 18 percent of unarmed whites. The website reveals that in 14 U.S. cities only Black people were killed by police, including Baltimore and St. Louis. These statistics are alarming, considering the fact that Black people comprise no more than 13 percent of the general U.S. population. Also revealed is that in cases involving more than 1,000 killings in 2015, 98 percent of the officers were not charged with a crime. A large percentage of those killed by the police suffer from mental illnesses. Last July alone, 120 people with some form of disability were killed by cops, including five Black women, most notably Sandra Bland in Texas, as well as two Indigenous women, all in police custody. This harkens back to Lenin on the role of the state, which is not just about individual cops killing Black people or any person of color with impunity, but about the general role of the state to exert social order. This includes the courts, prisons and physical violence upon oppressed people, who are super-exploited by poverty and low wages; substandard housing, education and medical care; gentrification; and mass incarceration and joblessness disproportionate to the general population. When someone like Tamir Rice is heinously gunned down by police, it is not just the immediate family that is traumatized, but it is the entire community. The clear message with police killings is that any Black person is expendable, especially in the midst of a permanent capitalist economic crisis. Under capitalism, the predominant form of class rule, the police as a force cannot be reformed because the super-rich class needs this repressive force to protect its profits out of fear of rebellion by the masses against deteriorating conditions. All the laws and the courts, which include the judges, prosecutors, grand juries and more, exist to protect the police no matter their criminal behavior. The statistics mentioned above confirm this reality. The police are not workers because they are alienated from the rest of society — the majority of whom are workers and oppressed who are forced to sell their labor power in order to survive. 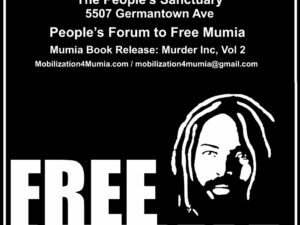 While it is important for the progressive sectors to continue to show the utmost solidarity with the Black Lives Matter movement on a daily basis, especially when a police atrocity occurs, it is also the duty of the movement to help generalize the struggle. It is an important development that many young whites, attracted to the Occupy Movement which was repressed several years ago by the police, have joined the ranks of the Black Lives Matter struggle. The movement must agitate for disarming the police, which is part and parcel of the overall demand for community control of the police. It shows a level of understanding that the real aim of the police is not to protect and serve, but to terrorize and oppress the workers and oppressed as a class. And just as the police cannot be reformed, neither can the capitalist system, which plunders the earth for resources, exploits workers’ labor and destroys people’s lives to make profits. The interests of the workers and bosses are on opposite ends of the spectrum, and therefore there can be no compromise or mediation, which is why the state is needed. As long as capitalism exists, the police will exist, along with other forms of repression. This situation cries out for a socialist revolution that will get rid of the capitalist system root and branch. There is no other way out of this archaic morass in the long run. 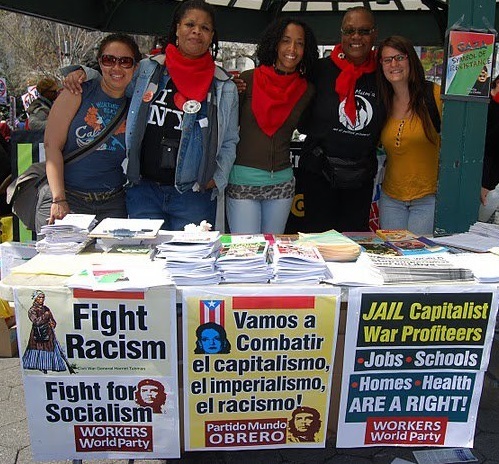 Socialism, as an economic system, will allow the workers of all nationalities and skills to produce for the needs of the people, not to make profits for greedy bosses. Under socialism, police will not exist to oppress the masses because the masses will be running society, not the tiny minority of billionaires and millionaires. In socialist Cuba, the police exist to protect the gains of the revolution, not to repress the people. 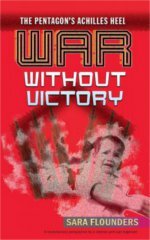 Under socialism, Black children like Tamir Rice and all children will have their human needs met, from the cradle to the grave, free from violence and want. Moorehead is the 2016 WWP presidential candidate, along with her vice-presidential running mate, Lamont Lilly.